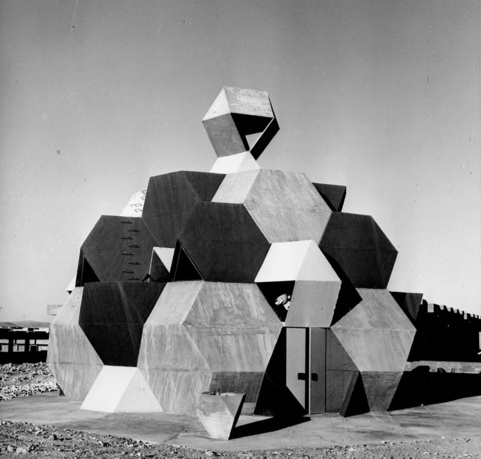 Alfred Neumann, Zvi Hecker, architects, Synagogue at Officers School Training Base I, 1968–69, Mitzpeh Ramon, Israel. 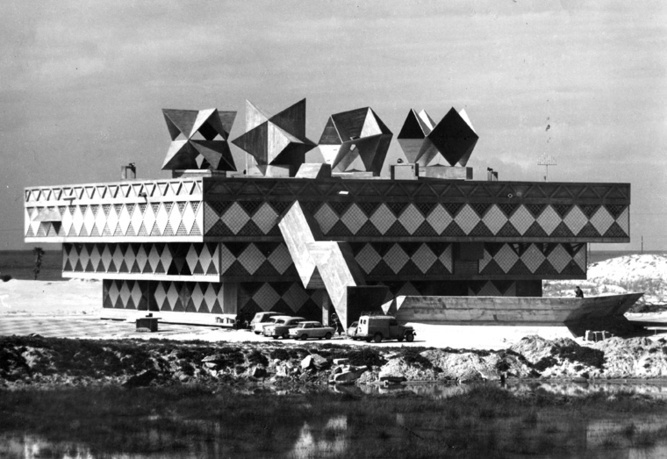 This project examines an approach to architectural space developed by Alfred Neumann (1900–68) in the early 1960s as an alternative to the then prevalent mainstream International Style Architecture. 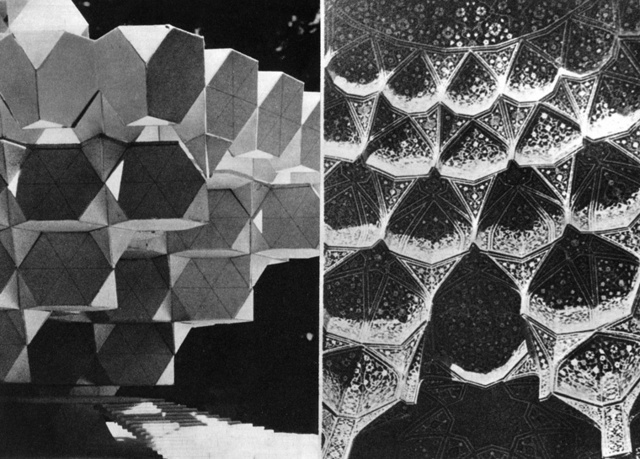 Neumann combined the use of polyhedral geometries with his own Em-Phi system of proportion to generate designs as spatial patterns that imagined anew the nature of the modern building envelop. 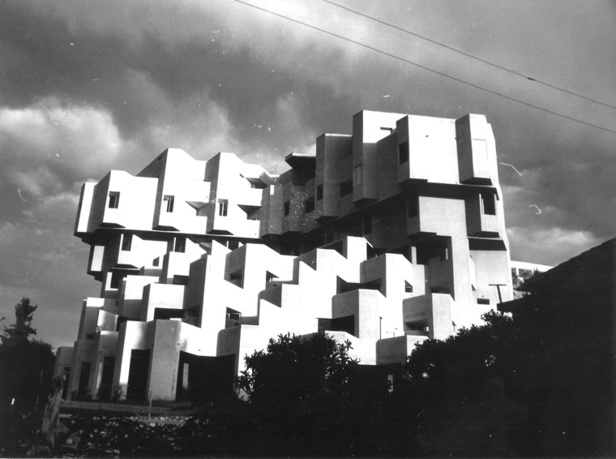 Although at the time of their design Neumann's buildings in Israel gained extensive international recognition for their unique expressive and experimental value, to date no research or book has appeared on his work. This project brings to light Neumann's highly original designs and writings and thus introduces a new body of knowledge to architectural discourse which expands our understanding of the approaches and ideas that emerged out of the post–World War II years. 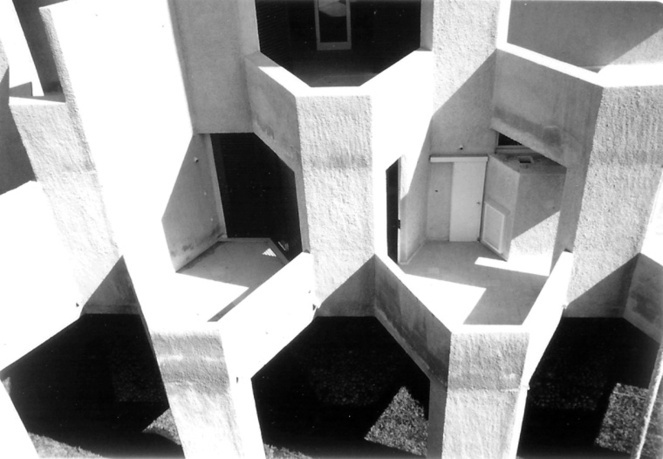 Rafi Segal, architect and scholar, received his PhD from Princeton University and his MSc and BArch from Technion, the Israel Institute of Technology. His practice, based in New York, is involved in professional and research work on both the architectural and urban scale. Among his projects are the Ashdod Museum of Art, Israel; the Kitgum Peace Museum and War Archive, Uganda; Villa 003, inner-Mongolia, China; and the MoMA exhibition Foreclosed: Rehousing the American Dream. Segal is coauthor of Cities of Dispersal (Wiley and Sons, 2008); Territories Islands, Camps and Other States of Utopia (KW, Walther Konig, 2003); and A Civilian Occupation: The Politics of Israeli Architecture (Verso, Babel, 2003). He has lectured widely and exhibited internationally at Storefront for Art and Architecture, New York City; KunstWerk, Berlin; Witte de With, Rotterdam; Kunsthall, Malmo; the University of California; and others. He teaches architecture and urban design at the Harvard University's Graduate School of Design and is visiting professor at the Cooper Union School of Architecture.